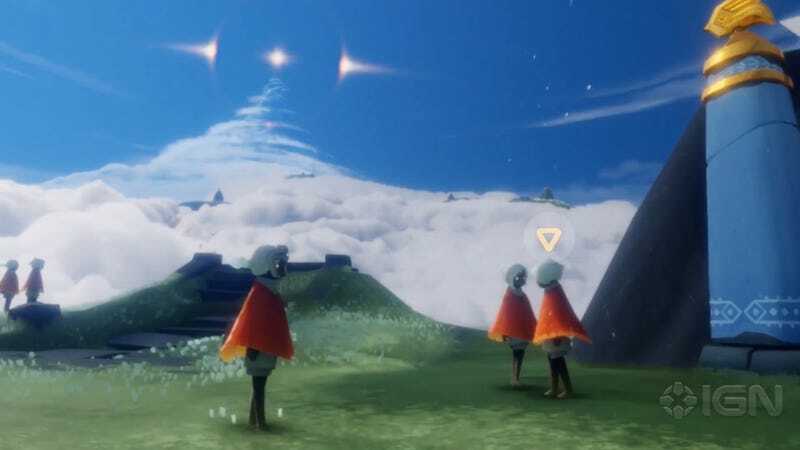 “We want you to feel like a kid going to a magical theme park,” says ThatGameCompany’s Jenova Chen in IGN’s new gameplay video of his latest game, Sky. Coming first to iOS, the “global social adventure experience” is giving off serious Journey vibes. Those vibes make sense. One of the ideas behind Sky is to take the emotional connection felt playing Journey cooperatively with anonymous partners and allow it to happen between friends and family. Players take on the role of Children of the Shadow, small, weak beings with the ability to share light through candles. The game is heavily focused on compassion and collaboration, with puzzles that require working together with other players.